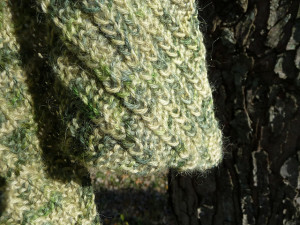 Secret Scarf – FREE Pattern! It’s Labor Day! After laboring on the sweater, I have to tell you that I’m a little bit burned out on knitting. I’ve been working on some small things, but I haven’t quite gotten the drive and determination to work on anything big yet. So, in honor of both labor and laziness, I am cheating on my blog post this week and recycling an oldie. This pattern has been available for a few years, but I’ve never highlighted it on this blog. Inspired by the Yarn Harlot’s One Row Handspun Scarf but worked on the bias. The pattern includes both written and charted instructions. This pattern is quick and easy, making it a great last-minute gift idea. 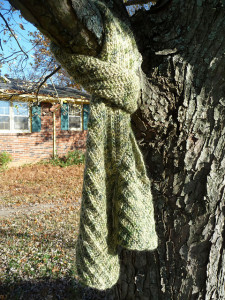 The pattern is available for free on Ravelry – Secret Scarf. 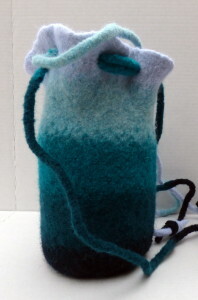 Felted Growler Cozy Pattern – FREE! I’ve just published a free pattern in my AbbyCrafty store on Ravelry. 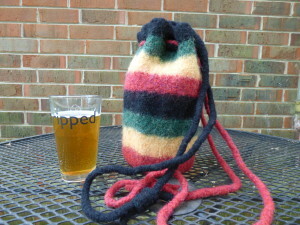 This one is for a growler cozy. 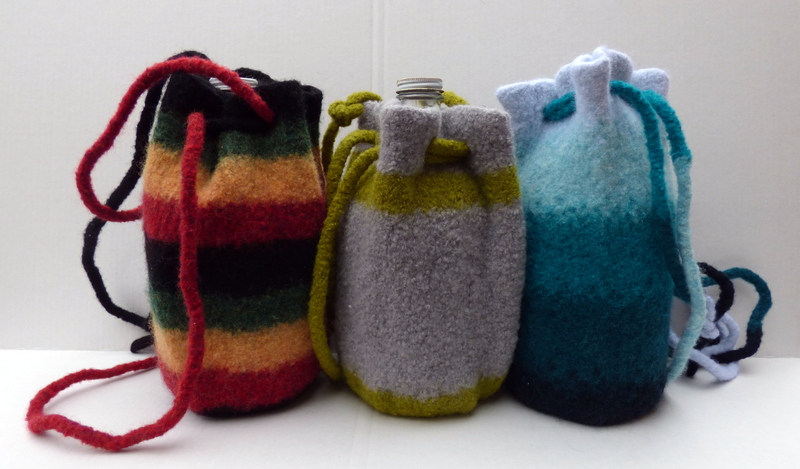 Keep your beer cool and unskunked on the way home from the beer store with a cozy, felted growler cover and carrier. Thick felt keeps the sunlight out and provides a layer of insulation and padded protection. The icord handles can be made to the length that best suits your needs. There are infinite ways to customize this cozy, too. Stripe your favorite colors or add some needle felted details after felting in the wash. The samples shown were made using Knit Picks Wool of the Andes Worsted. This project is great for using up scrap wool leftover from other projects. Just make sure it’s all 100% wool. Gauge is not critical since the finished project will be felted down to the correct fit. Have a cold one for me, mate!